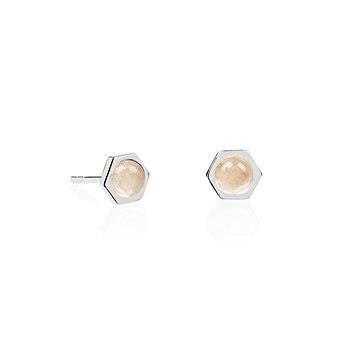 From the Daisy Healing Stones collection, these sterling silver studs have a hexagon design. They feature a rose quartz stone which promotes feminine energy. Wear these with any outfit for a contemporary look.